Forest Pansy is a beautiful landscape tree valued for its brilliant scarlet-purple color to new foliage, maturing to maroon. 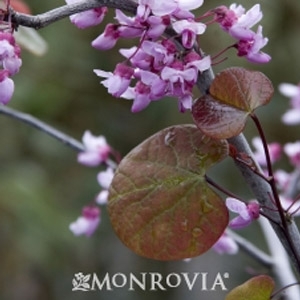 Rosy-pink flowers appear all over the tree in spring, just before the leaves emerge. Deciduous.